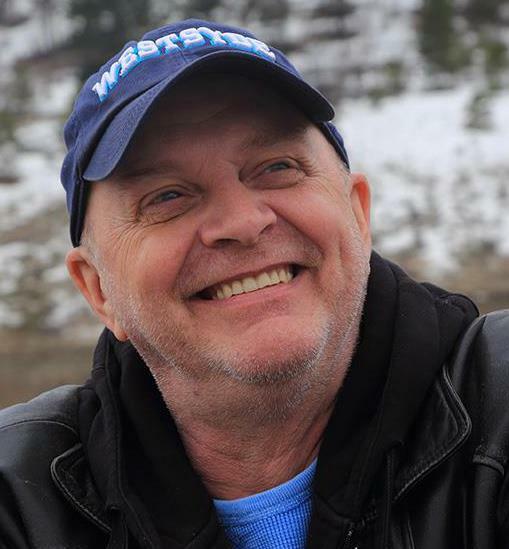 I’m a middle-aged guy living in British Columbia, Canada who is an expert on detective fiction — a former reviewer, mystery bookstore employee/manager, dealer in rare mysteries and rare paperbacks. About 15 years ago, I received the inaugural “Black Dagger” award from the Matthew Baillie Begbie chapter of Crime Writers of Canada, for “Services to detective fiction”, and if the house is ever on fire, that and my wallet are what I’m grabbing on the way out the door. Am I serious about detective fiction? Well, I’m perhaps the only person you will ever meet who has a tattoo of Sherlock Holmes on his chest. I’ve met a bunch of famous mystery authors, from P.D. James down to lesser lights, and I may be dropping some names. I also intend to be reviewing mysteries that I read, and even dredging up some that I love. I’ll discuss material that I encounter whether it’s in film, television, books, games, Internet-based formats, whatever. And I’m not entirely restricted to detective fiction. I like various kinds of genre fiction, including science fiction and horror. I also like thinking about the meta-analysis of genre fiction, so you may get articles on various large-scale concepts like the puzzle mystery. And there’s always the chance that I will decide to write that long-promised opus about Della Street. “Curating genre fiction since 1972”? Perhaps just a conceit. In my last year of high school I wrote a essay on the locked-room mystery that won me a trip to Victoria, B.C., so that’s the date I’ve arbitrarily picked as the beginnings of my fascination with detective fiction specifically and genre fiction in general. I worked at the very first murder mystery bookstore in Canada, Sleuth of Baker Street in Toronto, from the day it opened its doors (before its current owners took possession), and that dates back, as I dimly remember, to 1979. I also spent a few years behind the counter at the first such bookstore in Vancouver. Over the 40 years since 1972 I have read, oh, maybe 25,000 or 30,000 novels; I combine an exceptional reading speed with a really good memory. I must confess that many of the books I add to that count are ones that I have read more than once — in some cases many times — for sheer enjoyment. Once every five or ten years, for instance, I am impelled to read my way through the Nero Wolfe novels. If you don’t understand how someone can read a whodunnit twice, merely for pleasure, you’re reading the wrong commentator. So over the years I’ve reviewed mysteries, I’ve curated them in various ways, and I’ve had a hell of a lot of them go through my hands as a seller and a buyer. I’m interested in the value of mysteries as collectibles, and about retail markets for collectibles, now that that marketplace has been rationalized by the Internet. And by and large, I still like to read the damn things and pretty much always have one on the go. I like to talk about them, I like to recommend them to my friends, and I trust this blog will help me do that. Thanks for dropping by. Your comments are very welcome but will be diligently moderated. This is not meant to be a two-way forum for any except the knowledgeable. Hi, I’m a girl from Italy. I discovered your blog by chance and saw your preparation in scarce crime books. I have two books I would know how much they are worth: one is John Dickson Carr, Drop to his death, Heinemann without date. The book doesn’t have the dust jacket and it has a black cloth. The other is Dark Journey by Horler, hodder 1938 (first edition with dj). Thanks for your note, Martina. I’m not able to comment on the value of a book without seeing it, because condition is so important to the value. I would recommend that you look at abebooks.com and see if you can find comparable editions. I think, though, that you will be disappointed; I would expect that these are in the range of US $10 each. Sorry not to be of more help. thank you very much for your quick answer! In fact I really didn’t know how much would be worth that kind of books. I saw so different prices around the web that I couldn’t have an idea of the values. Why is it so? I mean, why some editions are worth so much and orher similar (by the same author) are not? My pleasure, although I wasn’t of much help. It’s very hard to say why a book is worth, or not worth, a certain sum. Sometimes very good books have been printed so many times that everyone has a copy and so they are not expensive; sometimes very bad books are very rare and scarce and so they cost a lot of money. My experience has been that the condition of the book, and particularly the dust jacket, are very important considerations. Other factors are whether the author is widely collected — the John Dickson Carr/John Rhode book you have would be of interest to collectors because it is not widely available, but without a dust jacket it’s not worth much money. It would be what’s called a “reading copy”. I could be wrong, though, and I advise you to keep your eye on abebooks.com looking for comparable sales to get an idea of the value. Sometimes you can sell a book for more than it is “worth”, on the principle that “a thing is worth what it will bring”. If someone wants that book on that day, you may be fortunate. Best of luck with book collecting! Hi Noah. I’m the publisher of a new imprint which will be publishing a lot of great classic crime fictoin from the twenties and thirties. I’d love to be able to send you notification of our new titles and review copies where possible. Could you possibly let me have an email address? Hi Rupert! Thanks for your interest, and I’m happy to provide an e-mail address. You can reach me at hypnoahyvr (at) yahoo (dot) ca. I’ll be looking forward to hearing from you, and the new imprint sounds very exciting! Dear Noah, I’m very attached to Mary McMullen’s books so I looked her up and found her mother and then your blog and your comment that knowing that a main romantic character had big hips and was a size 16 reduced the ‘romantic suspense’– and I know how reluctant you were to come out with this in public. But, I was laughing– as a reader you understand and not as a human being. So anyway, are you acquainted with the phenomenal book DEAD CORSE by Mary Kelly? It is super-obscure but is the best writing besides being an excellent story in a strange setting which she grabs in her teeth. Could she have been a roller in a steel mill? I still don’t think so. Maybe an owner of a steel mill. Who has ever heard of her or of this book? But if you find it you’ll be rewarded. thanks for this blog on the subject of my obsessive love which is mystery stories. Thanks for reading! I do remember reading Dead Corse but many years ago, so perhaps it’s time I re-read it.